Coach Chris has a solid background in teaching which makes him a valuable member to our community & team. He earned a Bachelors in Elementary Education from the College of Saint Rose and a Masters Degree in Literacy from the University of Albany. Chris has been putting these skills to use for the last eleven years teaching Elementary school in Burnt Hills Ballston Lake. Chris was also in the New York Army National Guard for 22 years before retiring. During that time he toured in Afghanistan and after his time with the Army concluded was looking for a way to stay fit and enjoy doing it. This is when he found CrossFit and our gym. Coach Chris is quite the athlete! He is an avid endurance racer having run over 30 races included Spartan Ultra Beast and numerous Ragnar races. He definitely plans on running many more races – he loves company out there on the course so feel free to ask him how you too can join in on a race! 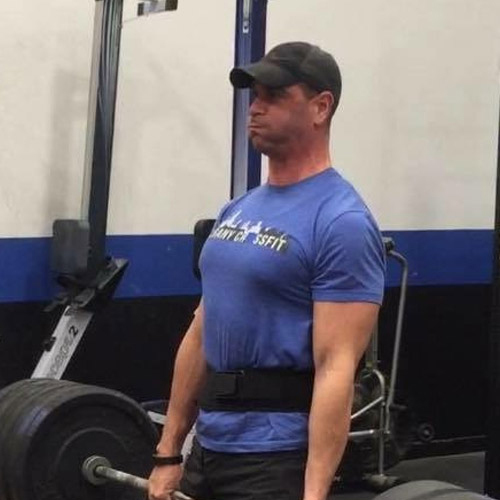 After three years of CrossFit training, Chris recently decided to pursue teaching it! He obtained his CrossFit level 1, has been learning under the guidance of the rest of the staff, and is excited to get out there and help others be better!